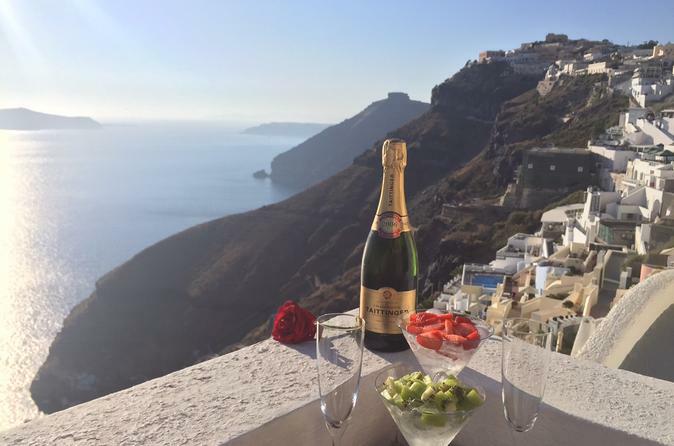 Sip Champagne and revel in uninterrupted views of Santorini’s famous sunset during this 2-hour experience. Take a seat with your loved one at your reserved table at Fira's Palia Kameni cocktail bar. 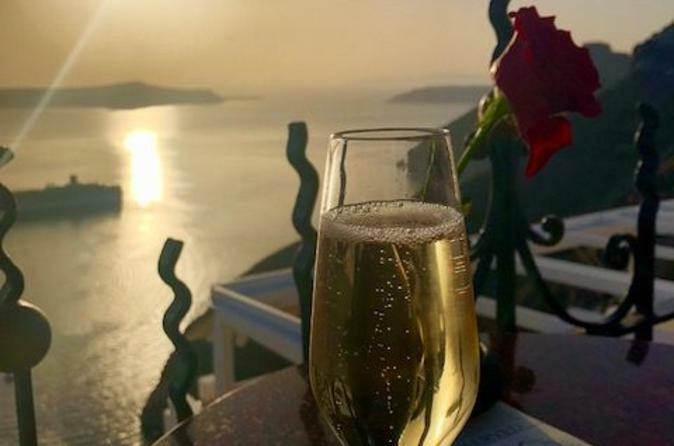 Then, work your way through a bottle of Champagne as you gaze out over the caldera, the Aegean Sea and the sunset that’s earned Santorini its place as one of Europe’s most coveted honeymoon spots. Palia Kameni cocktail bar has been voted #1 of 40 things to do in Fira on TripAdvisor. Booking this experience gets you a reserved, well-placed table to watch the sunset.